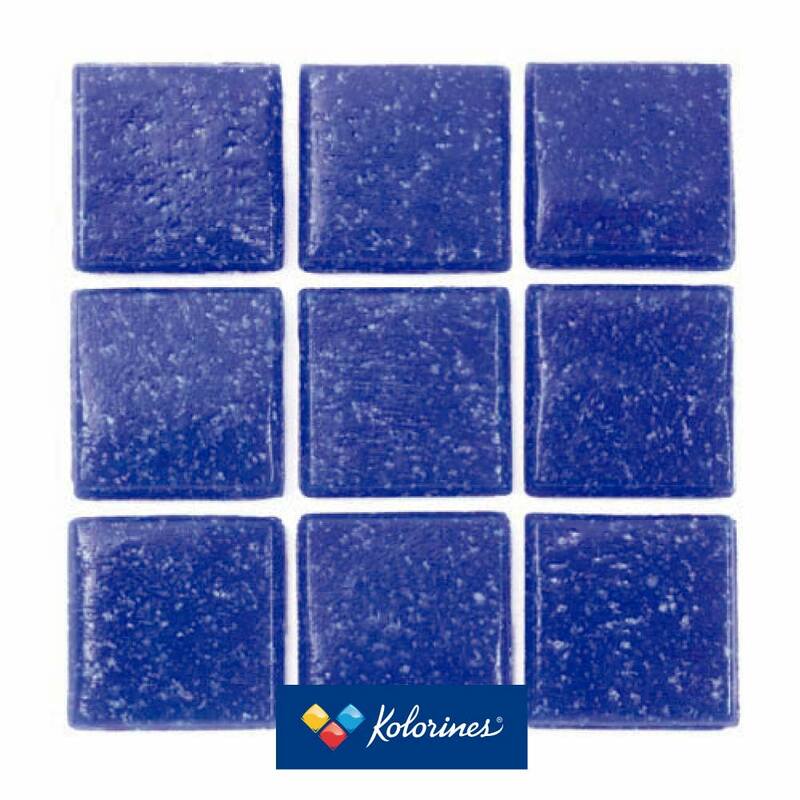 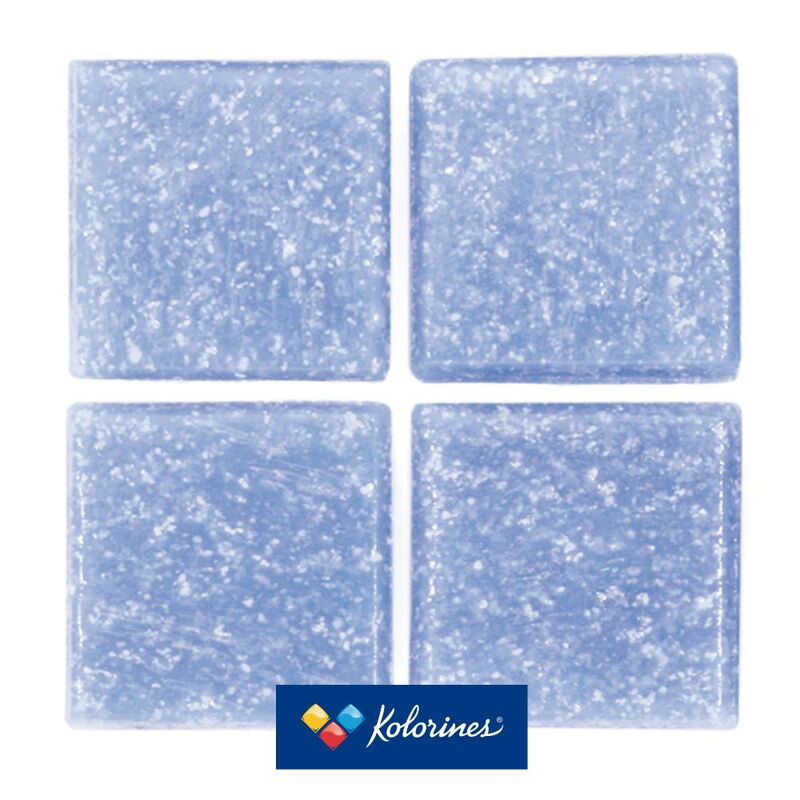 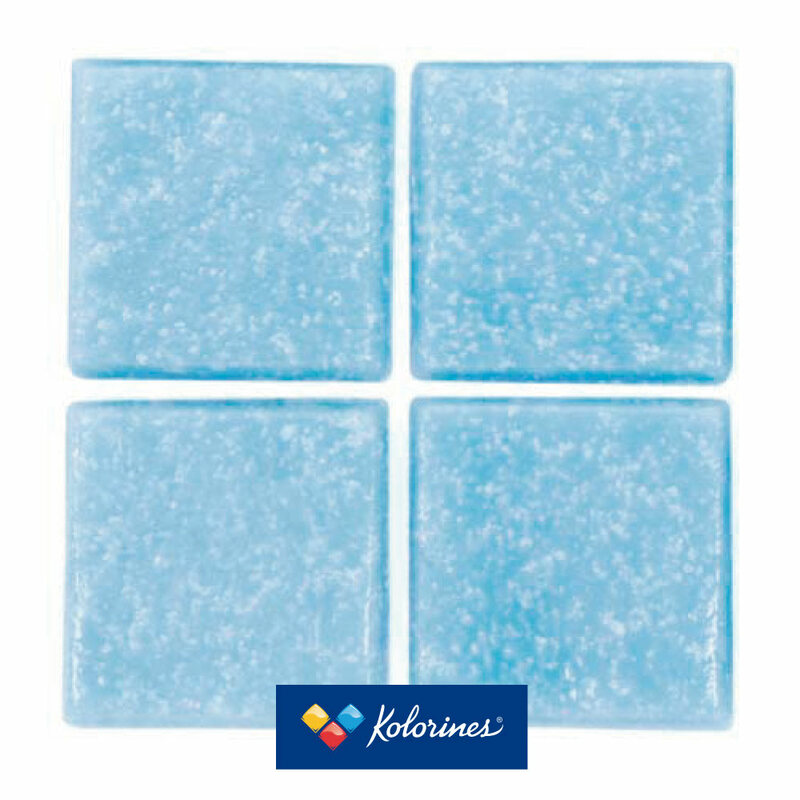 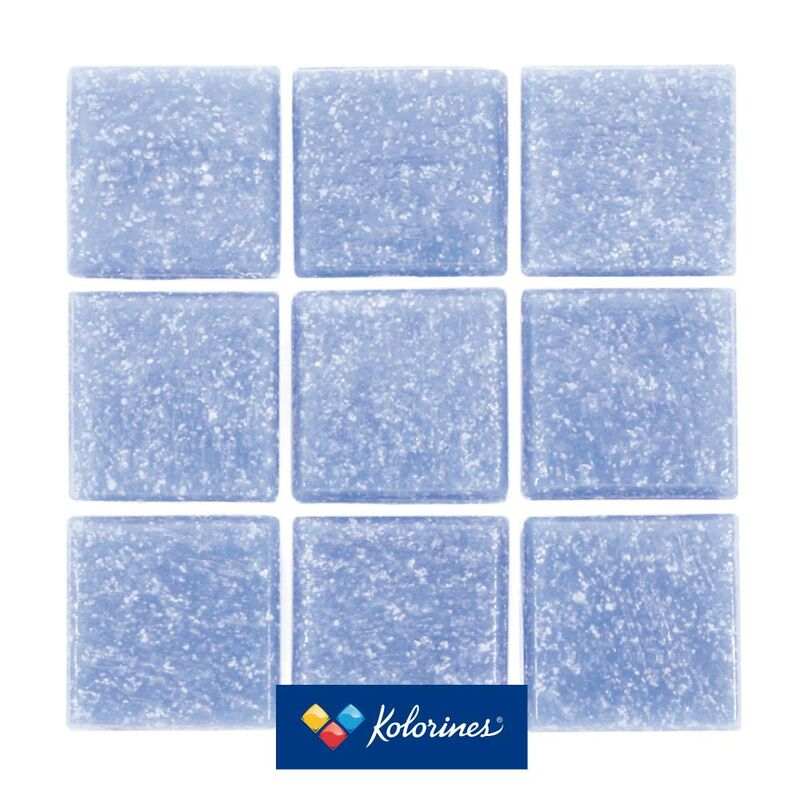 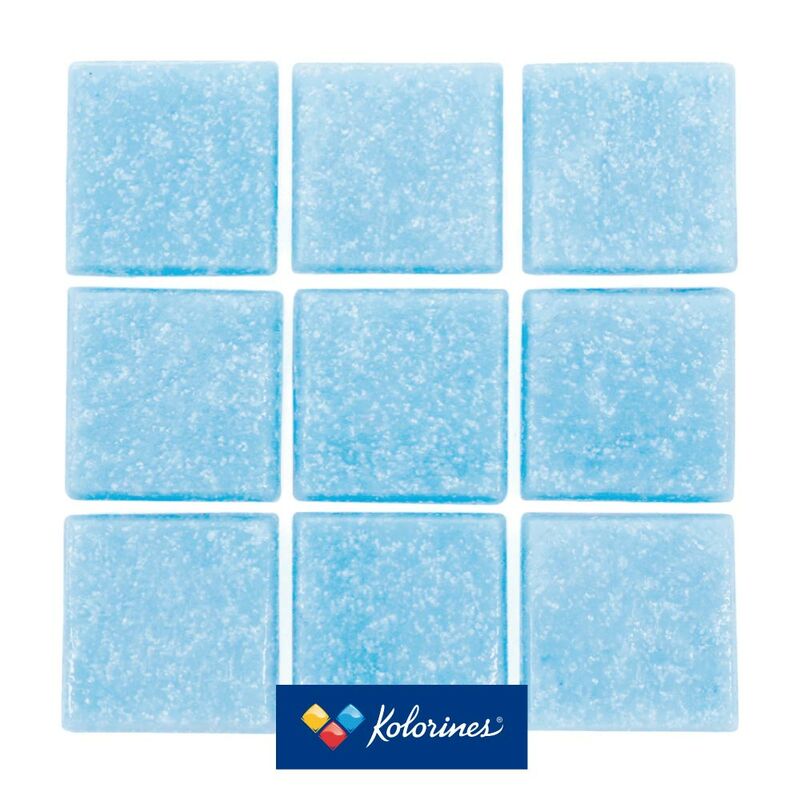 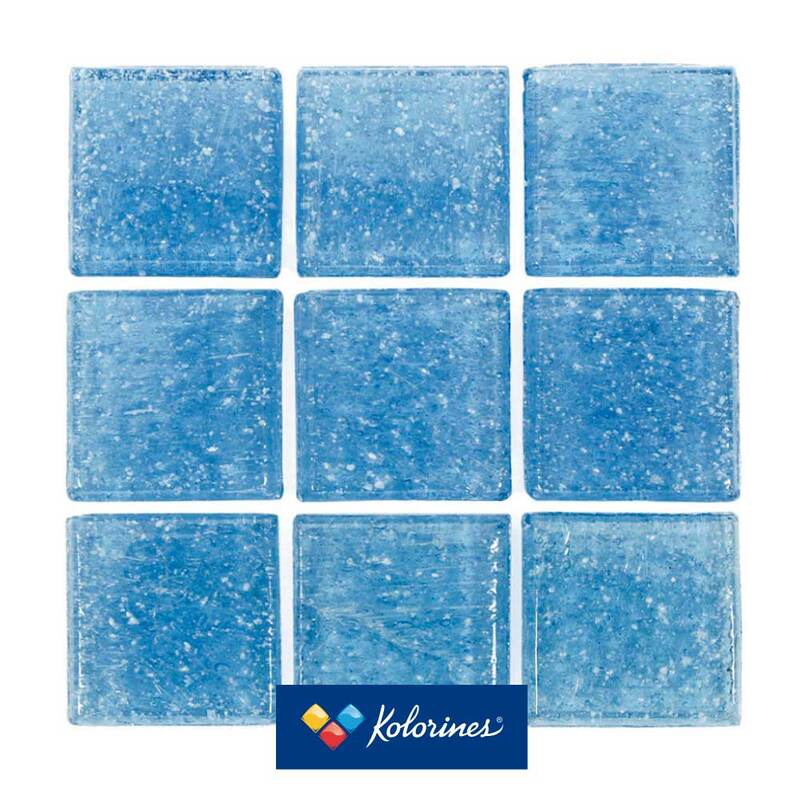 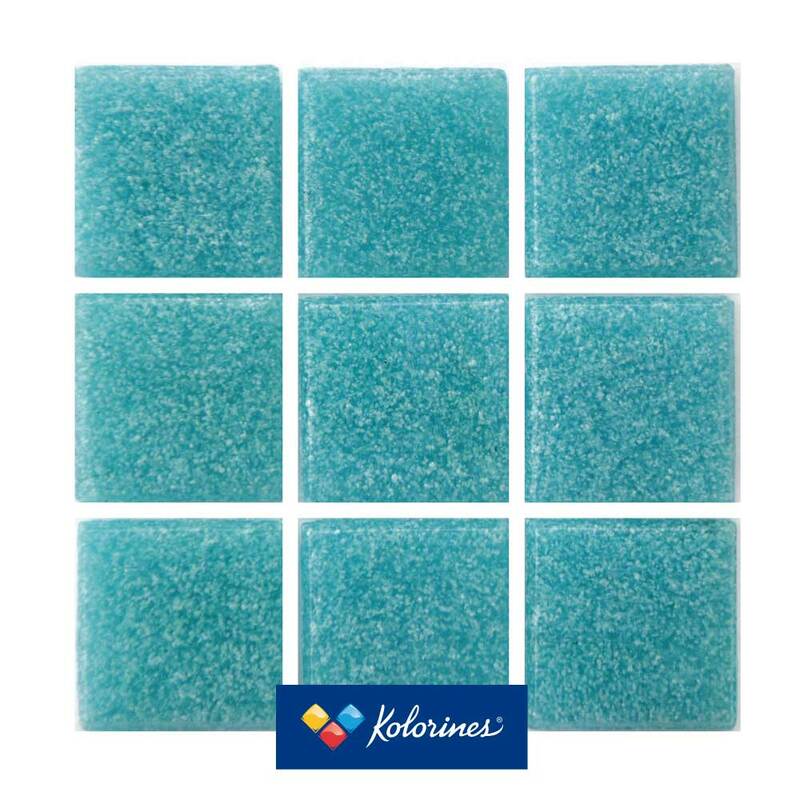 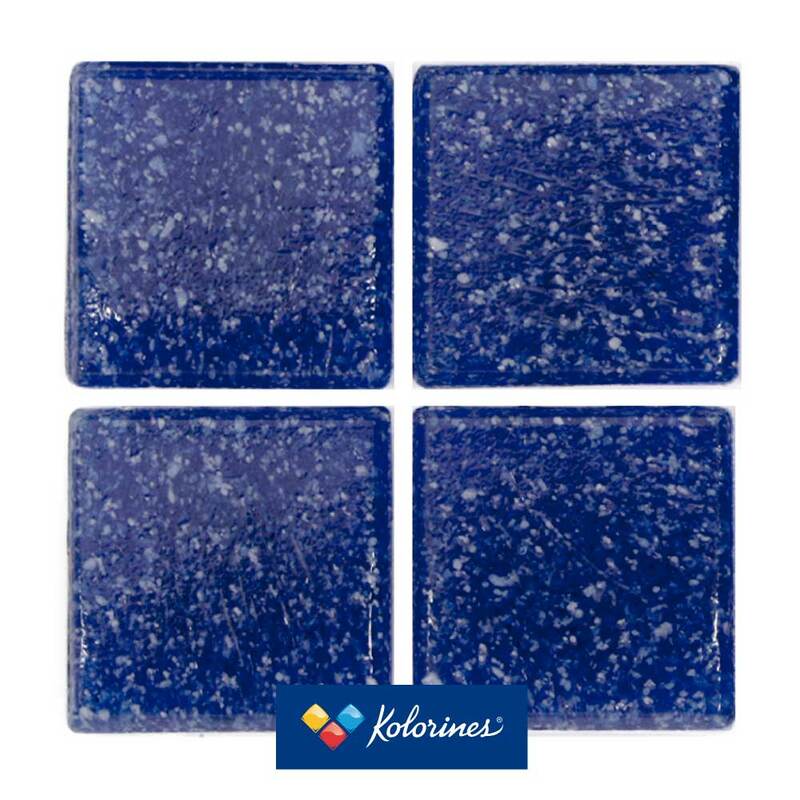 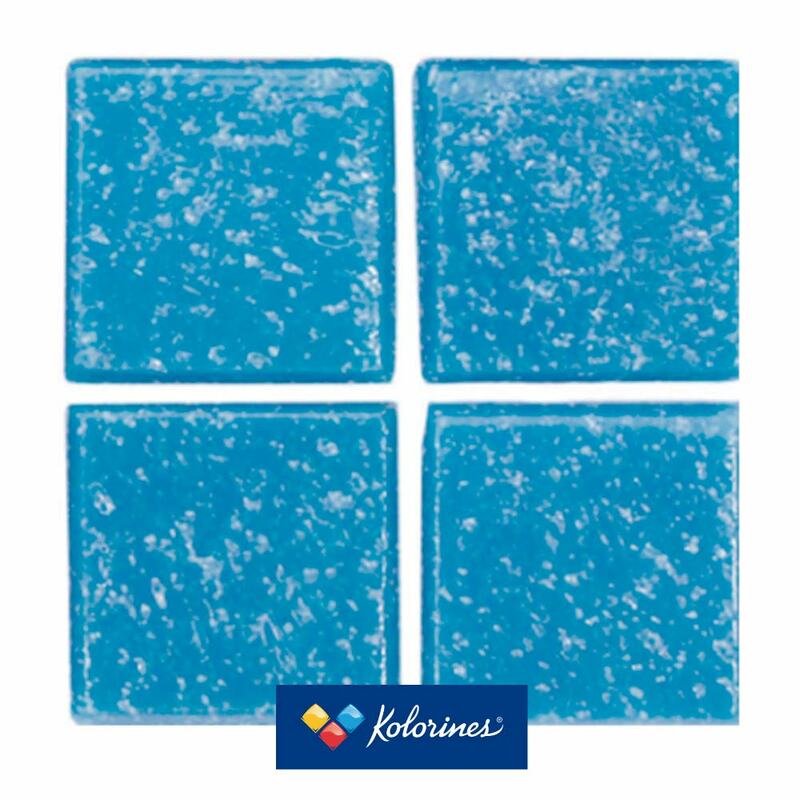 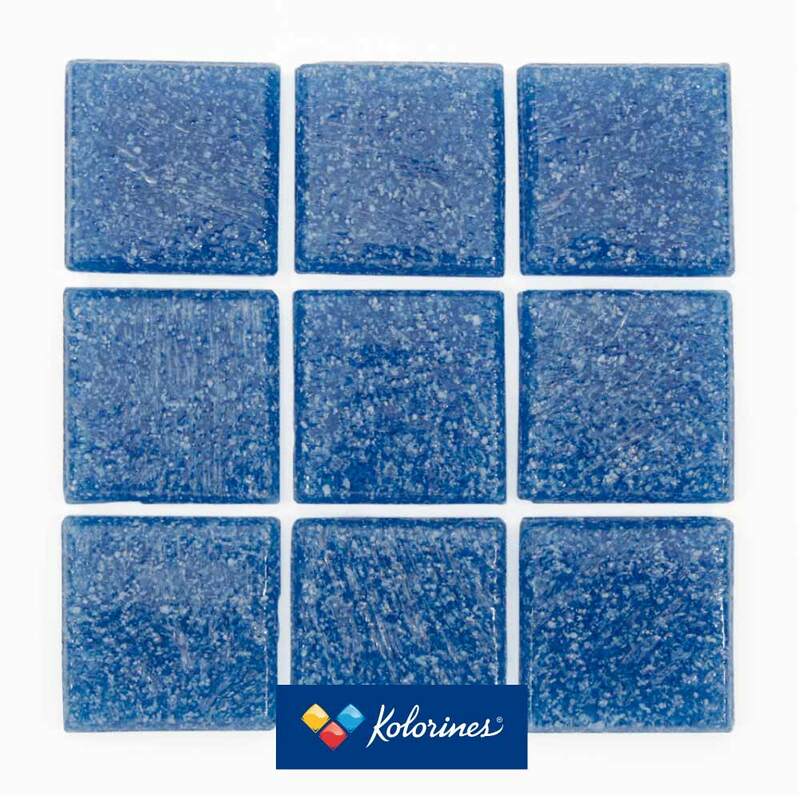 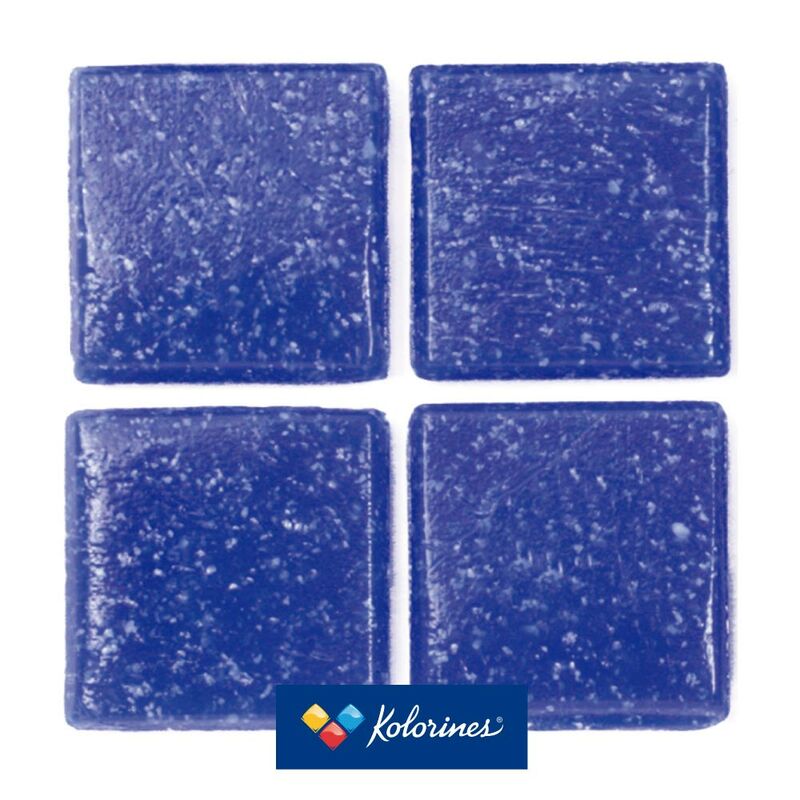 Akua Collection – Kolorines S.A de C.V.
Recreate the color of the seas of Mexico in your pool. 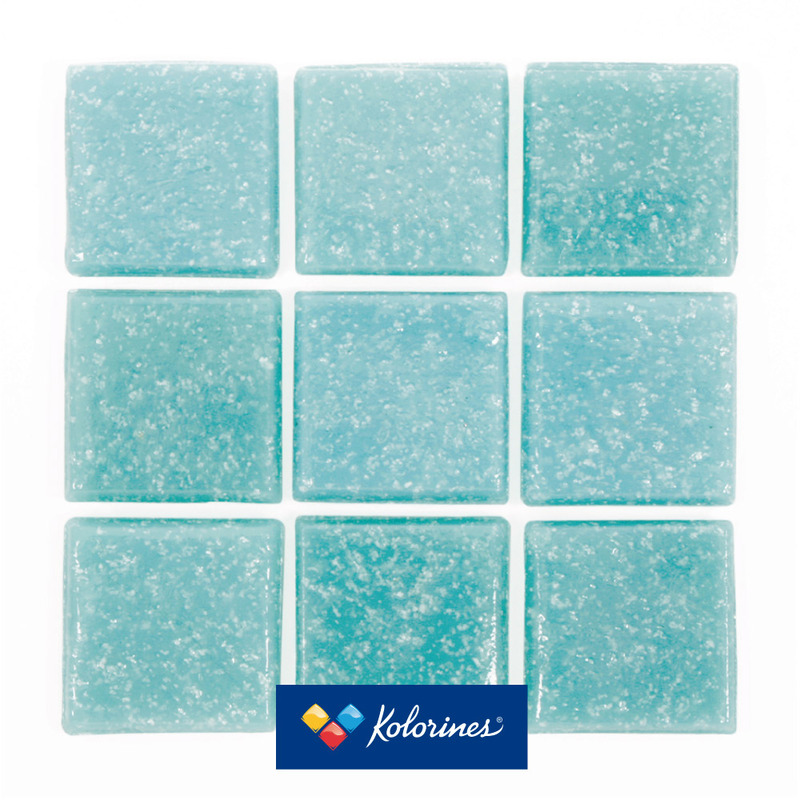 Mexican beaches synthesized in shades of blue on opal glass transport us from Cancun’s aqua green to the deep blue of Los Cabos. 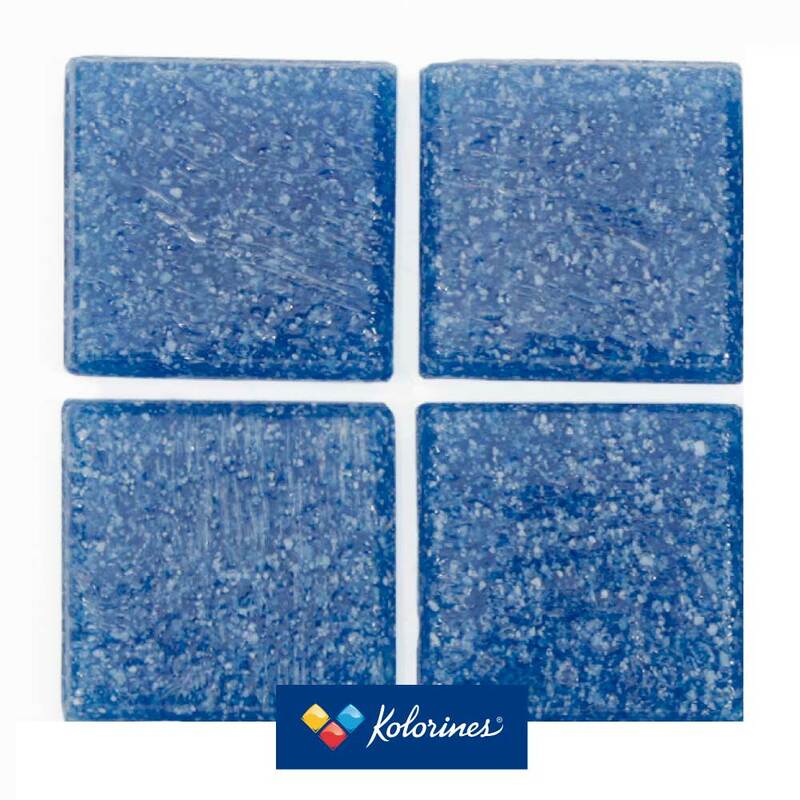 With its particular characteristics of sand particles suspended in glass, our AKUA collection emanates coolness on a sunny day, hinting at fun on the beach and the caress of an ocean breeze. 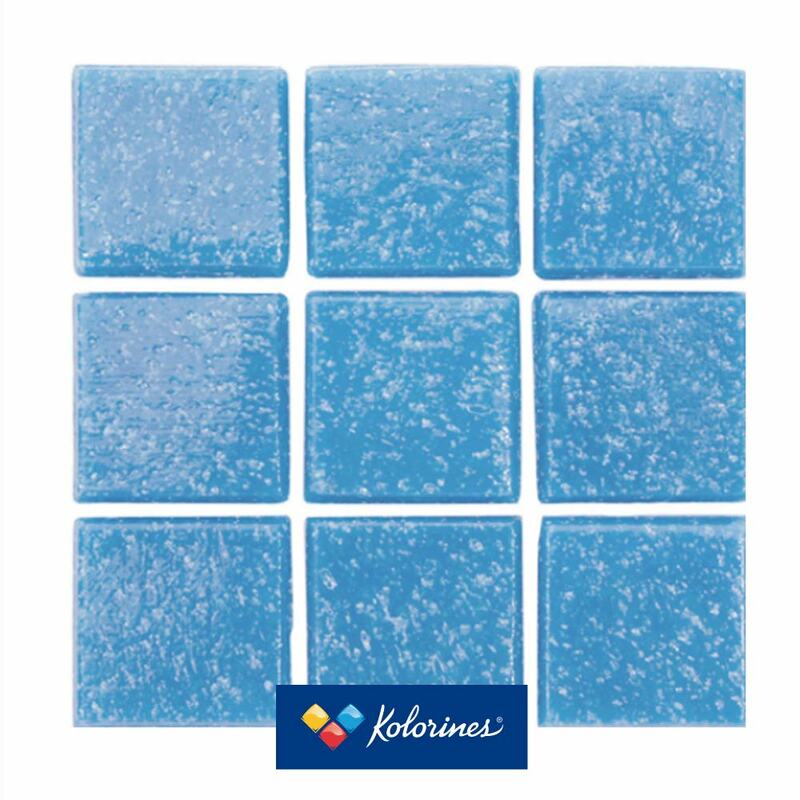 This collection is the very popular for all tiled pools since its price is very competitive and has a wide range of colors. 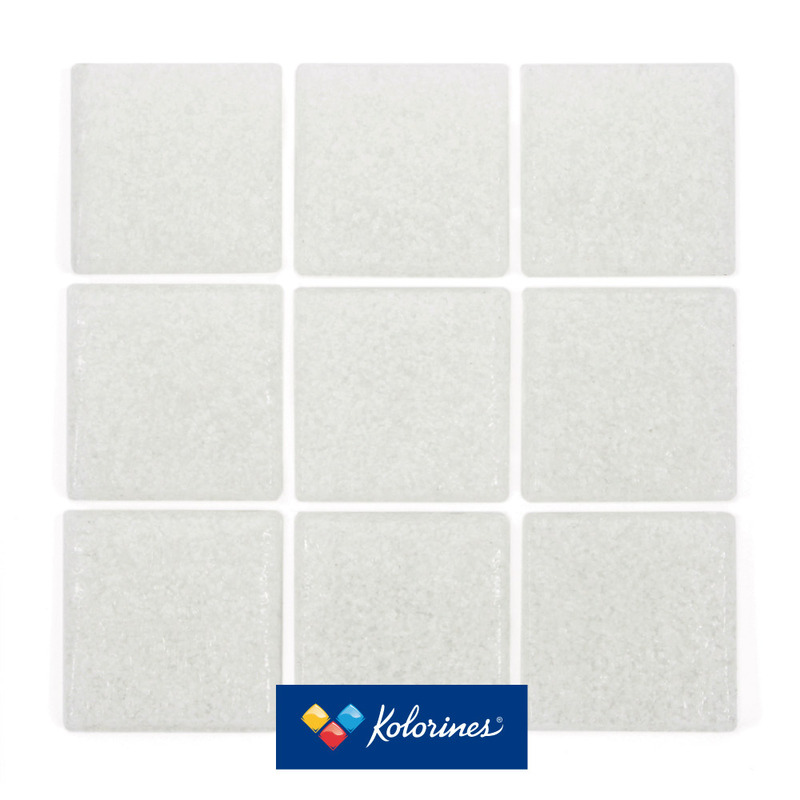 The most used size is 3/4″ due that this size adapts very well to curved areas as steps, benches, spas and curved corners, and columns. The shapes of the tiles has been improved for better anchorage. 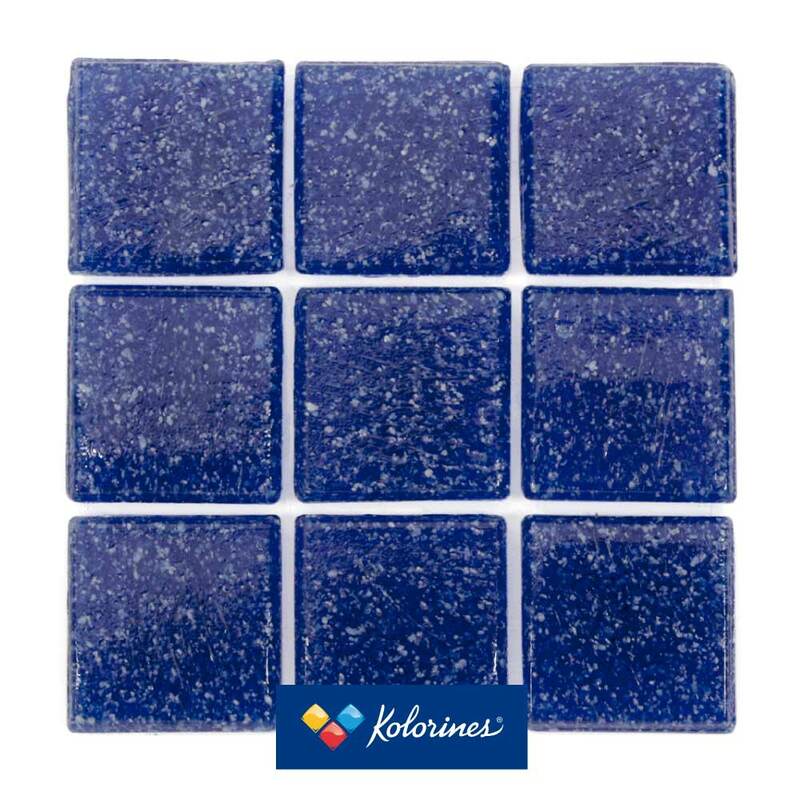 This collection has the classic look of opalized glass mosaics and the tiles has suspended sand grains in their interior the color range is mainly blues ,but also there are some white colors. This color range is suitable to make color gradients.